Front 242's Daniel B, ex-F242 man Dirk Bergen and Erwin Jarbot release their debut album under the name Nothing But Noise, Not Bleeding Red, today. 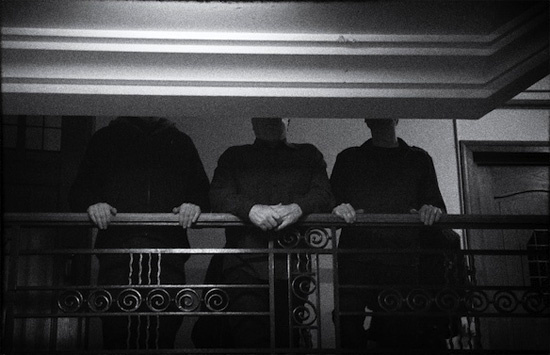 In contrast to Front 242's music, it finds them working with softer, synth-led ambient forms. To mark the album's release they're giving away a free track through their Soundcloud, 'Divorce'. You can listen and download via the embed below. "What we wanted to do is start where we thought Krautrock, Tangerine Dream and things finished, and say, ‘What would those people do today to continue?’," said Daniel B when we interviewed him recently about the project. "And we want, if we are able to continue, to go further."